The “second wave” of strong solar growth in the UK and beyond, driven by subsidy-free economics, could be delayed by cannibalisation of wholesale power prices. That is the view of Ricardo Piñeiro, partner at Foresight Group, whose fund has noticed the first sign of a looming fall in power prices despite weather conditions sending prices above average so far this year. Piñeiro said that to date, 2018 has been perhaps Foresight’s best year in terms of average power prices since its IPO in 2013, with prices peaking in March and remaining above £50/MWh throughout the year. This bears out rumblings from other asset owners in the market. Anesco last week said that a comparative pack of wind generation and lower output from French power stations had led its subsidy-free asset Clay Hill to sell its power for an average price of £56/MWh over the summer months. But, Piñeiro warned, extended periods of summer average prices above the £50/MWh mark may be drawing to a close as greater quantities of solar, and especially wind, come onto the grid. Foresight’s power curve, drawn from a comparison from curves supplied by the likes of Poyry and Baringa, are now expecting a decrease of around 3% on average beyond 2022/23. And that projected decrease is already being felt with Foresight’s net asset value slipping 2% on that “continued softening”. Piñeiro revealed that while the general weighted average power price had historically been positive in comparison to wholesale day ahead prices, “it’s now moving into negative territory” predominantly as a result of this renewables deployment. But despite the risk of falling power prices possibly cannibalising subsidy-free prospects, Piñeiro said Foresight was undeterred from its opinion that this was the direction of travel in the UK. “I think there's always a risk for this sector, the higher penetration, higher risk of cannibalisation… It's extremely important to understand how the power price curve will behave in this type of scenario if you start to see a significant roll-out of new solar and wind,” he said. 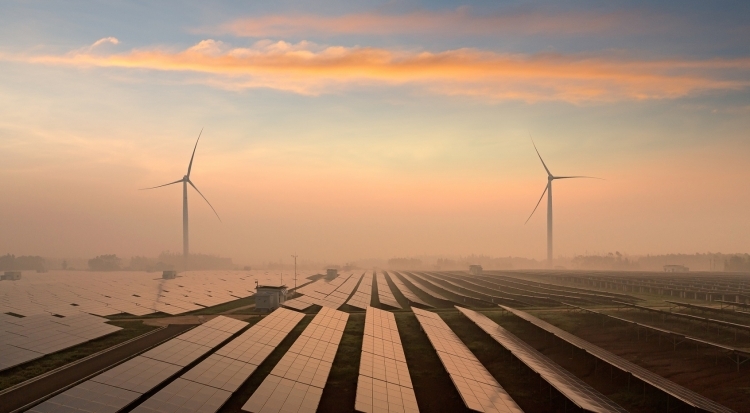 Volatility in the power market and its potential impact on subsidy-free renewables economics has been a point of contention for those requesting greater certainty from the government, particularly as it begins to form a picture of its ideal future power market. Foresight was last year one of a number of investors that signed a letter addressed to the Department for Business, Energy and Industrial Strategy calling not for subsidies, but for government-backed contracts that could provide the necessary certainty over pricing. And last week Foresight also referenced the continuing uncertainty over embedded benefits payments which are under review as part of industry regulator Ofgem’s consultations surrounding network charging arrangements. Those payments are equivalent to around 2% of Foresight Solar Fund’s revenues, and the group pointed to the uncertainty surrounding the outcome of the significant code review in its interims.